I am going to present my ongoing work on Myanmar at the Institute of Advanced Study at the University of Konstanz on December 6, 2018 at 5pm (Bischofsvilla, Otto-Adam Str. 5). In my presentation I will give an overview of my book manuscript which is based on ethnographic data I collected over several long stretches of fieldwork between 2013 and 2018. The focus of my book lies on critically reinvestigating the category of ‘community’ in light of new material from Southeast Asian Myanmar. 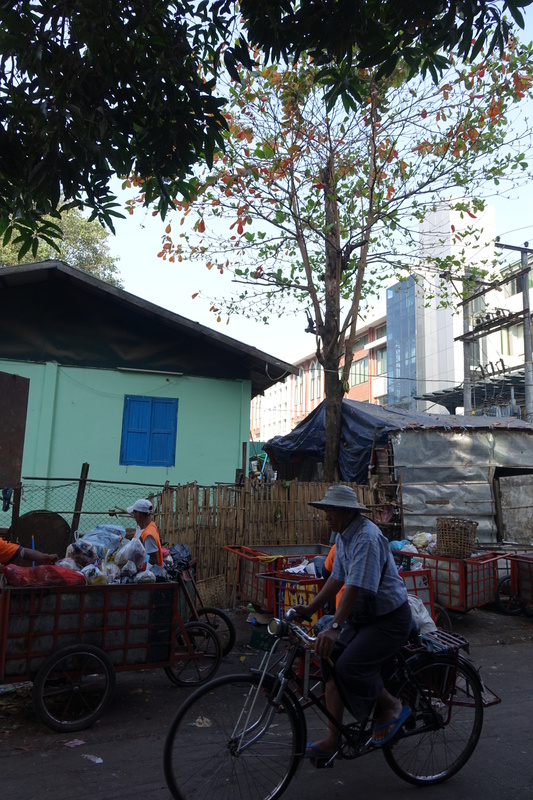 My study is geographically situated in Yangon, a fast expanding metropolis and the home of various ethno-religious minorities whose ancestors built the city when they were shipped across the Bay of Bengal by the British colonial forces in the 19th century. 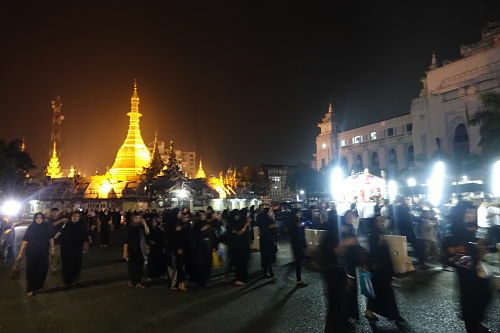 My informants, who are Hindus and Muslims, are often referred to as “Indians” in the literature or simply “Blacks” by the local Burmese population, but in their self-understanding, they are the true founders of Yangon. My interest lies in understanding how, in a local context of imperialism and ethno-religious nationalism, these people organize themselves as ‘members’ of groups that perform and are recognized by others as ‘communities’. My theoretical aim in this book, and my contribution to wider anthropological and sociological debates, is to develop an alternative angle towards the category of ‘community’ that focuses on how and when exactly a collective ‘We’ emerges. In the social sciences the process of we-making has so far been analysed only as a by-product of the process by which ‘Theys’ are created (Appadurai 2006: 50). The concept of communal sense, which I am putting forward in my book, focuses instead on the successful establishing of community as an effect of we-intentionality (Walther 1923) which become ethnographically observable in moments of communitas, in the articulation of common sense and in the material anchoring of common goods. This entry was posted in anthropology, everyday life, field research, Hinduism, law, Myanmar, philosophy, politics, sociology, theory on 5. December 2018 by Judith Beyer.